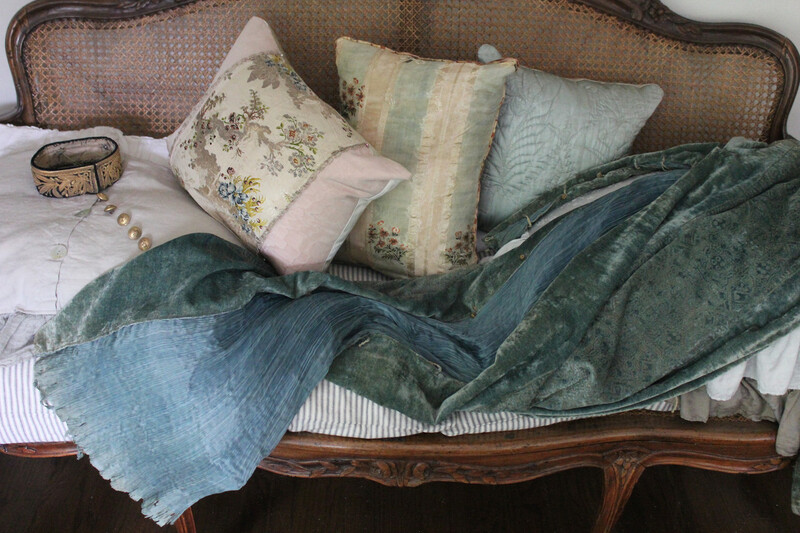 I made a trip to Monticello last week to bring new stuff and fluff up my space... If you are a dealer, like me, do you ever have those days when you just get tired of everything and just feel like starting all over with completely new things? That's where I am!!! And that is why Lisa, Mitzy, Karen and I are having a garage sale this weekend!!! This will be our third year and I promise you there will be some good stuff there!!! No, I am not clearing my booth completely, but I am getting rid of tired items, projects that never took off and "what was I thinking when I bought this" stuff!! Lisa has posted a flyer about it if you are interested in coming!! 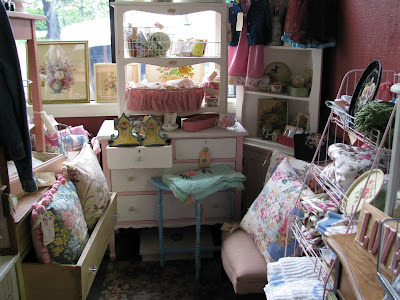 Here is Lisa's super cute space right next to mine. 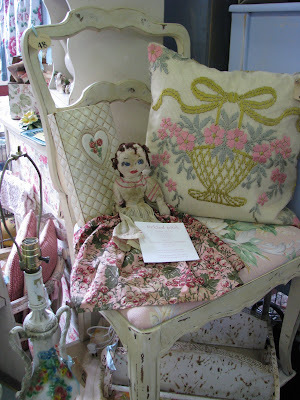 She has taken a giant leap and has opened a new booth at Stars & Splendid Antique Mall!! 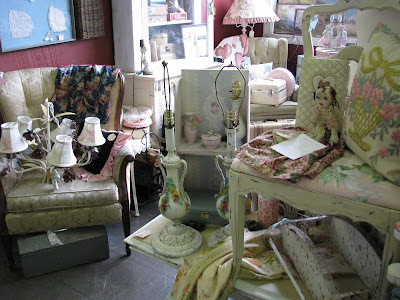 Check her blog to see great pictures of her new space! 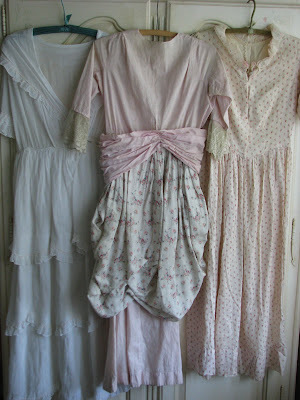 I was absolute beside myself when Lisa gave me the sweetest dress she had found at an estate sale... I swear to you my heart skipped a beat when I laid eyes on it!!! When she said I could have it, I had to restrain myself from jumping on her and lick her face like an excited puppy!! Just kidding! Thank you, Lisa, you truly made my day!! 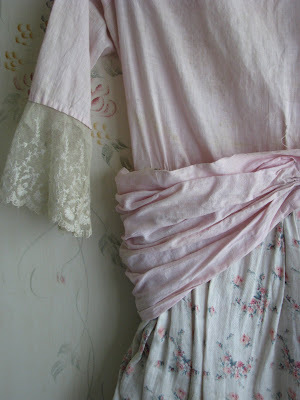 I will hang it in my bedroom with a few other darling vintage dresses. 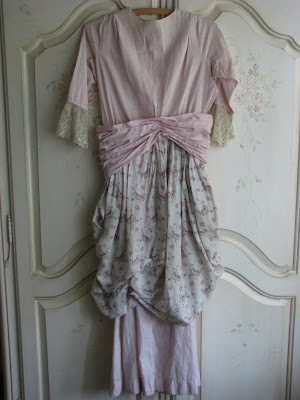 Finally, I wanted to show you something I have bought for myself.... Very rarely do I spend money buying clothes or shoes for myself, as I always feel there are other priorities... But when I went to the mall with my daughter to find her some shoes for graduation, these boots drew my attention. They were the last ones on the shelf, and they were my size... I tried them on, and they felt very comfortable... Then I looked at the price... It had been slashed from $75 to ...$15!!! I have paid more for a pair of flip flops!!! I was very excited until my kids told me the color looked like poop... I don't care, I love them! 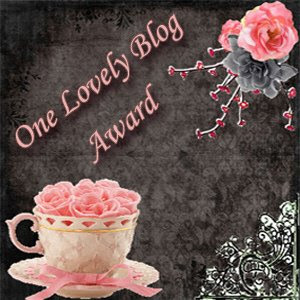 I didn't want to end this post without thanking Sarah, from My So Called Junky Life, for giving me the "One Lovely Blog Award". Thank you so much, Sarah, I am both thrilled and honored!!! All this blog love means a lot to me!!! I end with a funny little thing that happened today... Anna and I were making chocolate mousse, this afternoon, when my 6 year old son Alex asked what we were doing. We told him what it was... A little bit later, he came to me and asked: "when is the deer ready?"!! 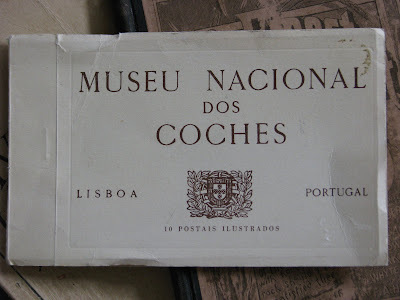 great post-went to Lisbon I saw that wonderful museum. Score on the boots and love your displays! I want some chocolate deer too. ha ha. That Alex, what an adorable nut. You are so welcome. I knew that dress was so you. Thanks for mentioning my new space. I'm crossing my fingers that it will be well received and that I won't have to bring all that stuff back home. Looking forward to a fun weekend with laughs and money making with you. why don't you ever post pictures of you IN the dresses? do you want to have a dress up party? Ramblings are fun. Your space looks beautiful as usual. I get that same feeling...in fact I'm having it now. I don't feel like my merchandise measures up! The dress is wonderful with all the details and yes please, I would like some deer chocolate too! P.S. 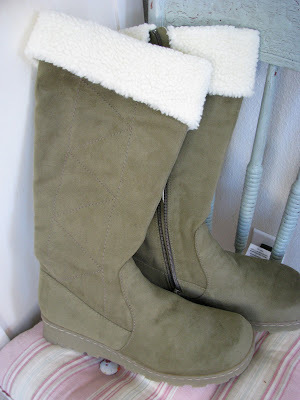 those boots will be a treat this winter and no, the color does not look like poop! Your booth looks great, so does Lisa's!! Isn't it nice to have such wonderfu friends that know what to give you that makes your heart skip a beat! wish i could make it to the garage sale! Oh I'll take a serving of deer!! Love it! What a great sale!! Your pics are lovely! Congrats on your Lovely Blog Award!! And...Your son is such a funny dude! 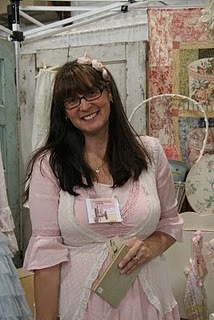 You have so many lovely things in your booth and that dress is fabulous! I hope you have a good turn out for your garage sale. Clear out the old, make room for the new...I need to do that, too. "...when is the deer ready?" They don't look like the color of poop to me. I like them too! Kids say the funniest things!!!! :-0 !!!!! Cute, cute dress from Lisa. I would have licked her face, too. ha!! Thanks for the memories, Isabel! We've been to all of those places in Portugal. You make us want to go back! 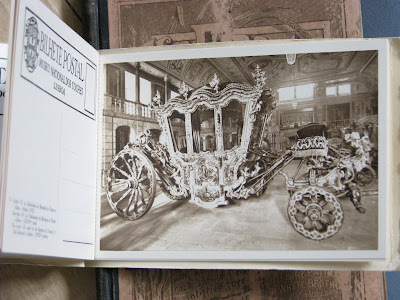 We were hurried through the coach museum by a bored teenager, but WE loved it! "Apres la pluie, le beau temps"